The bold confrontation was made at the summit during the third imaging supplies expo to be held in Cancun, Mexico. 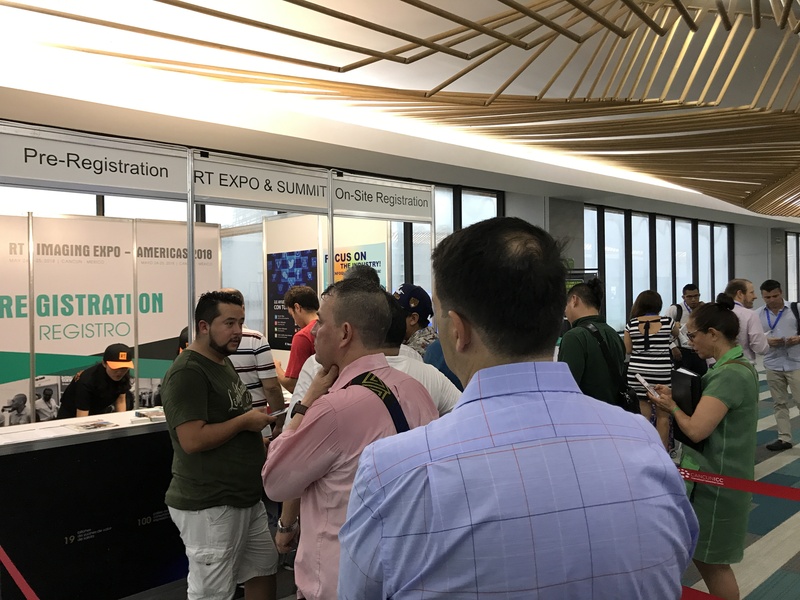 The RT Imaging Expo & Summit caught organisers, exhibitors and visitors by surprise with one visitor reserving a booth for the next year’s event. Gary Hnath—partner of the highly respected US law firm, Mayer Brown—joined Merritt Blakeslee—international trade and intellectual property lawyer specializing in patent litigation at the U.S. International Trade Commission (USITC)—in a panel discussion on the industry’s hottest issue for 2018. Both have clients that are respondents in the “Canon dongle gear” suit before the US International Trade Commission. Tricia Judge, executive director of the Imaging Technology Council joined them on the panel. Judge urged the summit attendees to consider remanufactured cartridges as the “safe” alternative for the aftermarket. The Canon dongle gear lawsuits are already having an impact upon China, Canada, Mexico and the rest of the LATAM region as well as the USA. Many of the 62 exhibitors expressed their satisfaction and excitement at having so many high quality, professional buyers attend from 18 countries including Colombia, Peru, Chile, Ecuador, Venezuela, the USA, Canada, as well as Mexico. The two-day event, held in Cancun, Mexico, attracted exhibitors from China, Mexico, the USA, Korea, Columbia, Germany, and Poland this year. The first day alone saw 500 professional buyers attend which excited exhibitors as well as the organizer. 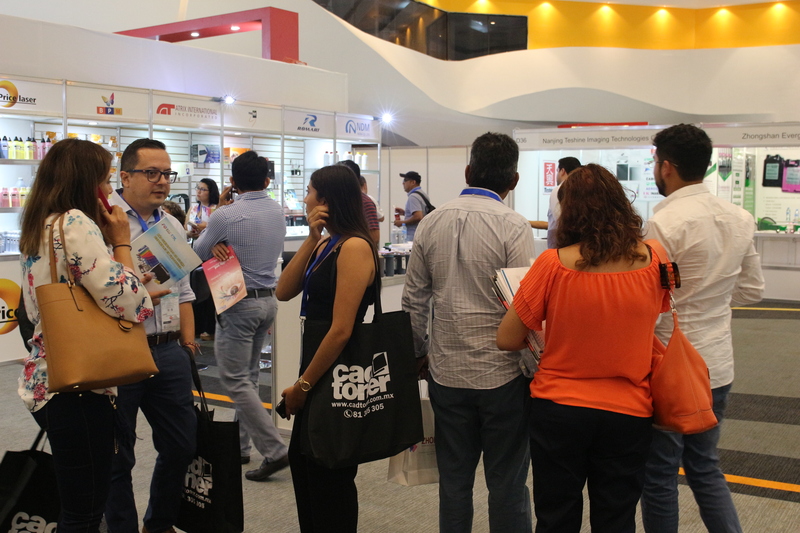 While exhibitors always expect to find new customers, there was also an opportunity to efficiently meet up with their existing clients from the LATAM region in the comfort of the exhibition venue. Both new and former exhibitors commented they learned more about the Americas market through the networking opportunities afforded by the expo. 3D printed products were a popular highlight with many visitors saying they had not seen a 3D printing pen before. On site demonstrations of new technologies and business opportunities was obviously popular with all participants. our printing demonstration with 3D printing pen on site was very attractive. For more inquiries on the 3D printing consumables, you can contact 2851169737@qq.com. LATAM undoubtedly proved itself to be a strategically important, emerging market for growing business. To keep in touch with the critical trends and opportunities in this region, an industry summit was held concurrently on day one. Seven speakers provided their analysis and insights into critical trends and opportunities in the Americas, including latest Canon lawsuits. Seeing LATAM’s potential in Managed Print Services (MPS), Przemek Kowalski from THI, an MPS service provider based in Poland, flew to the expo and shared the secrets on how to get more profit by selling managed print services compared to the traditional, transactional business model of selling cartridges. “The MPS market is a part of digital transformation, so its the new trend,” Kowalski said. UniNet’s Nestor Saporiti pointed out that digital printing is expected to grow in the U.S to be a $188 billion industry in 2018. “MPS is expected to grow to US$50 billion by 2025. North America holds the largest share market,” he added. In addition to MPS, Saporiti shared new product ideas and industry opportunities in labels, textiles and sublimation printing. Omar Moreno Quintero, Sales Manager from HYB LATAM regions, closed the summit with his sharing on copier consumables trends and opportunities in the region. “The key in winning the reputation of customers is not to sell the massive products with low prices but to find a perfect balance of high value and offer them a good option to replace the original products,” he said. 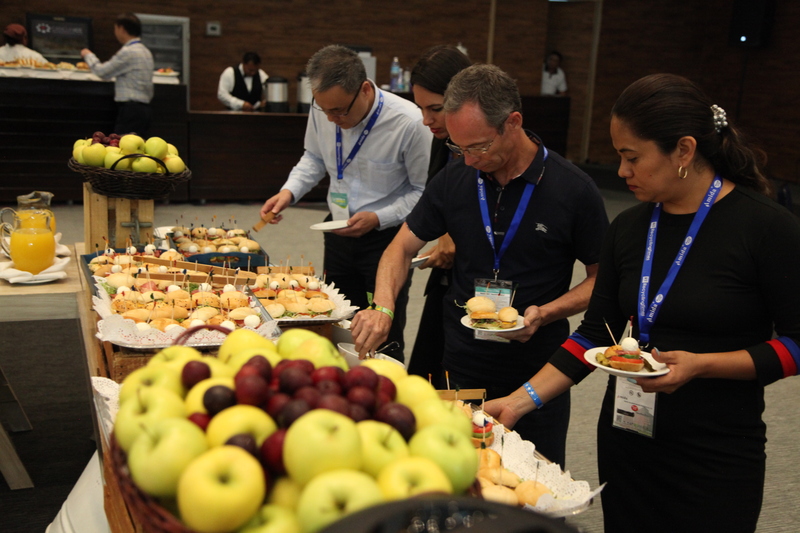 This year, the organizer provided free buffet lunches for the exhibitors on the floor of the show, creating a more profession, yet casual environment for networking and tying up business deals. 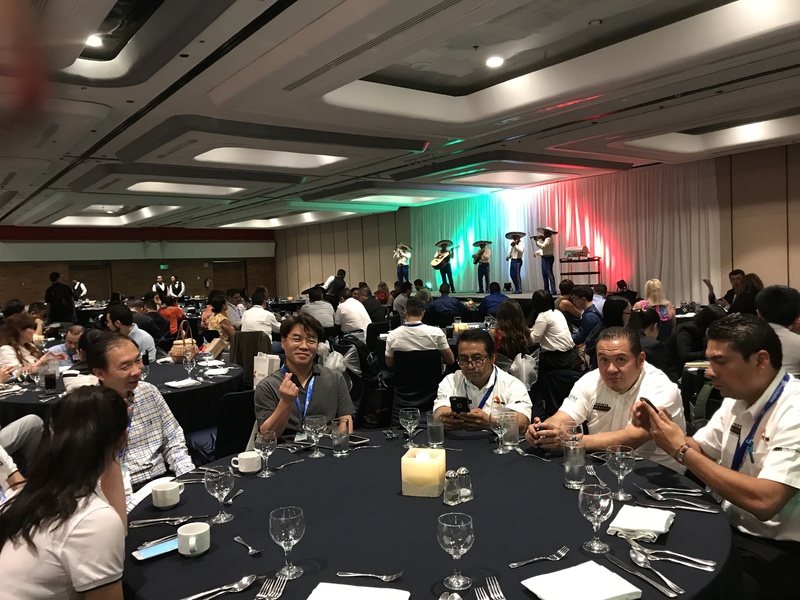 Day one ended with a Gala Dinner where four lucky draw winners will receive free nights at RemaxWorld Expo in Zhuhai in October 2018. As scheduled, the organizer plans to move the two-day expo to a new destination within the Americas every three years. 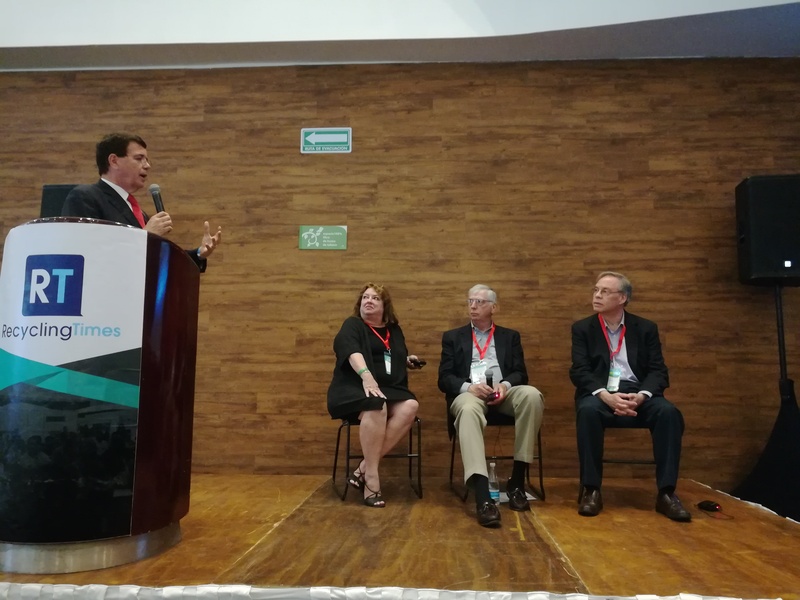 Having enjoyed three successful events in Cancun, the organizer is planning to announce a new destination for 2019 in the Americas. And now you can click HERE to decide the destination now.